The SnowBear snow plow caster wheel kit will work on any updated 2013 or newer SnowBear snow plow. It's designed to fit Snow Bear 82", 84", & 88" snowplows. This wheel kit will make plowing a much more enjoyable chore. 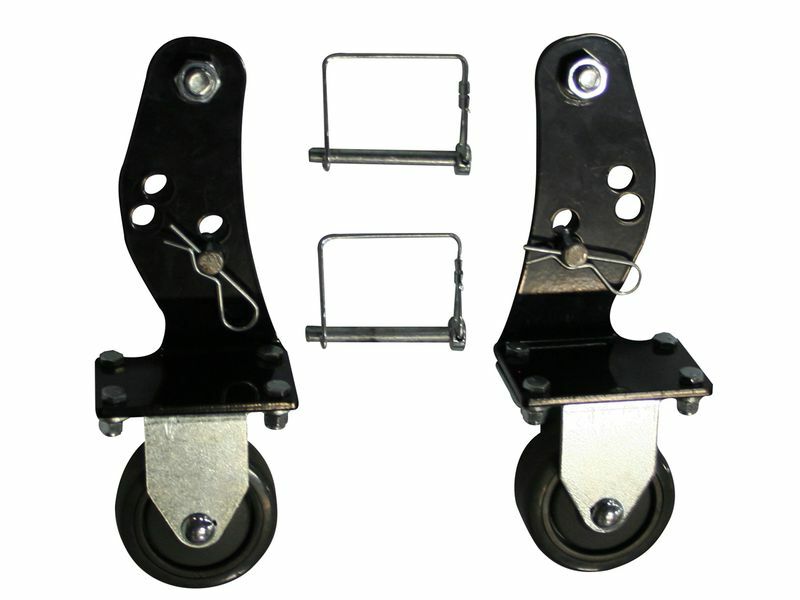 The caster wheel kit is made to mount directly to the newly updated snow plow design without any special tools needed, drilling, or cutting involved. This will make moving your snow plow around your garage or attaching to your vehicle a snap. Get accessories for your plow like the SnowBear caster wheel kit to take make your winter plow chores as enjoyable and easy on yourself as possible! The Snowbear caster wheel kit comes with easy to follow installation directions. For more information please call our toll free customer service line at 877-216-5446 any day of the week including Saturday & Sunday.